The model 1201-RB Handy-Grip is a rugged, industrial control handle that is built with multiple switch functions and special wiring to high quality standards. 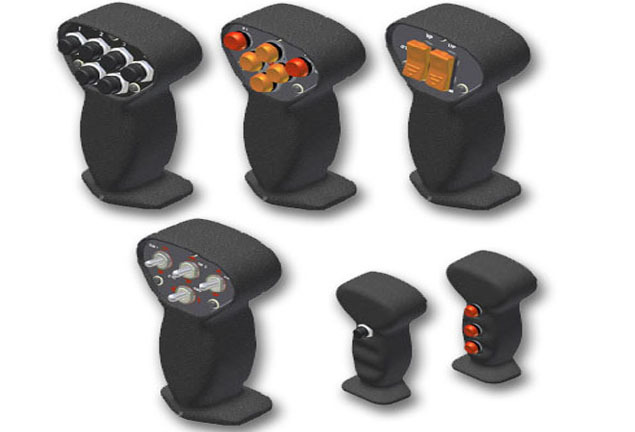 We can supply six of our long-life (100,000,000 cycles), thumb-operated pushbuttons with three finger-operated triggers. Or a combination of pushbuttons, rockers, toggles and indicator lamps can be supplied.